So you decided to eat better, avoid those unnatural and processed foods and pack more vitamins and minerals into your body. Congratulations, you are making great progress! Part of that healthy decision is to get more fruits and vegetables into your body and to help with that you decide to drink a glass of 100% pure juice with breakfast, and maybe a bottle with lunch instead of a soda. Unfortunately you are making a worse decision than you think. First unless you squeeze the juice freshly yourselves the chances are that most of the nutritional content has depleted due to the packaging, storing and transport of the product. Second, by drinking juice instead of eating a piece of fruit you are taking in all the bad aspects of fruit (high sugar content) and throwing away the good ( fiber). In many ways fruit juice can be as bad as soda. In fact, I urge you to read the nutritional label for pure orange juice. 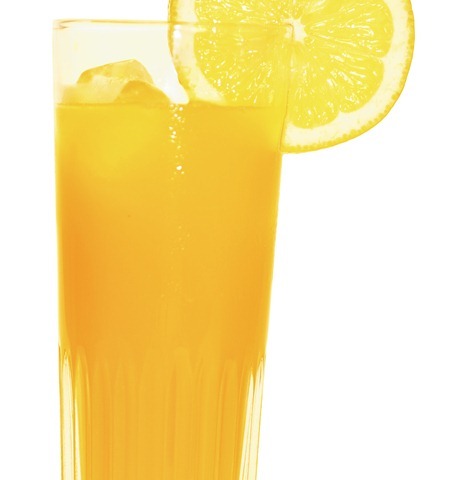 This example shows that a cup of pure orange juice (from concentrate) has SIX TEASPOONS of sugar. Now this is naturally occurring sugar but from a metabolic standpoint sugar is sugar is sugar. The same serving size of Coca Cola? 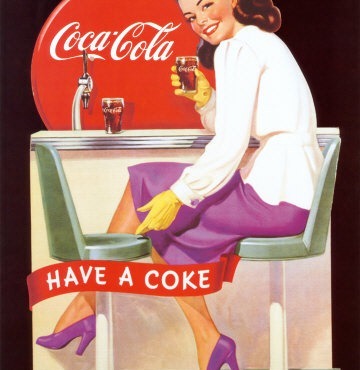 Unbelievable perhaps, but Coca Cola has slightly LESS sugar! Studies have also shown that drinking even just one glass of fruit juice a day can increase the risk of diabetes whereas eating fruit does not. Oh, and don’t get me started on the sugar added or HFCS (high fructose corn syrup) based ‘juices’. Avoid fruit juice and eat a piece (or 2 or 3) instead. Get used to drinking water. It really is the best way to stay hydrated and helps you avoid those nasty hidden calories. Also don’t start your kids off with bad habits – get them used to drinking water as well. My 4 year old son will actually request water, even if he is at a kids party and everyone else is drinking juice. Juice is an occasional thing for him and water is king. You’ll thank me for two big reasons. Your waistline will be better for it, and so will your wallet. I think juices are fine, but only if you drink about as much as you can squeeze from one piece of fruit instead of seven. One glass of juice is way too much and way too sweet. @justfortuitous – I agree for the most part. One oranges worth of juice is probably only a fluid ounce or so of liquid. I do still have an issue with the fact that the fiber intake is reduced by taking fruit in liquid form. Made a big difference for me! !